To view a users usage, go to Admin > Users and click on the Usage Report icon for the desired user. You can select a date range or specific module you would like to see usage for. 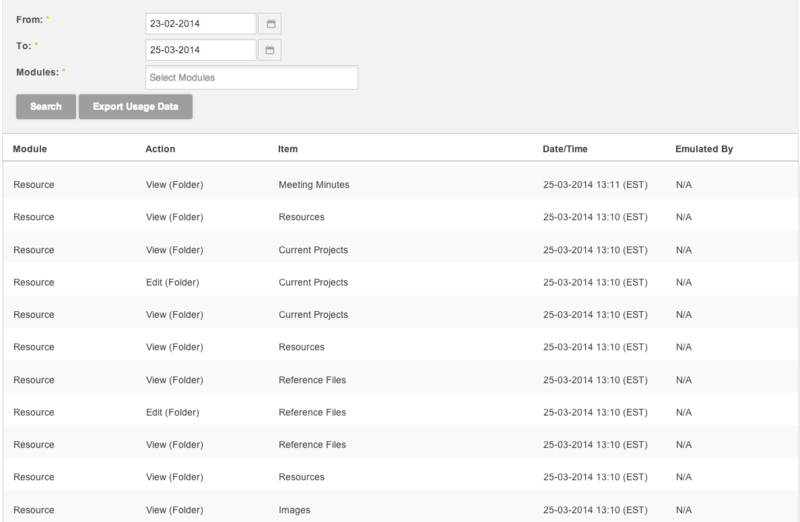 This will return results of what module, action, item & date they have accessed in the platform. *Note that the default usage view will display the last 31 days of data.